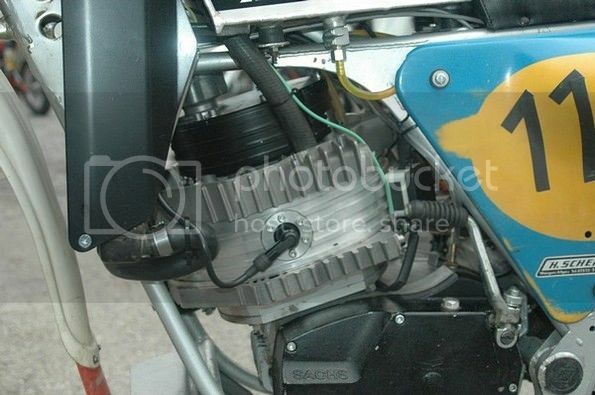 James' interest in the Wan kel Rotary motor started many years ago. 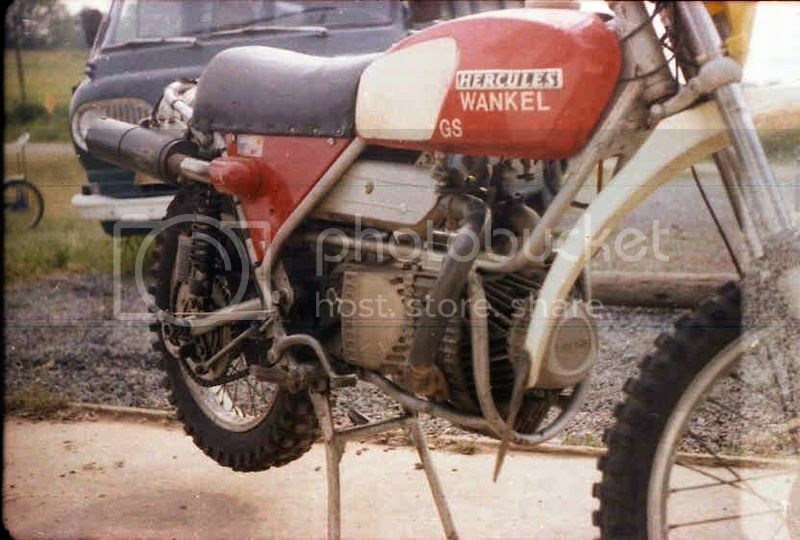 His Dad was a Hercules dealer (Harold's Cycle Shop in Little Hocking, OH), and they sold the Hercules Wan kel Rotary powered street bikes. 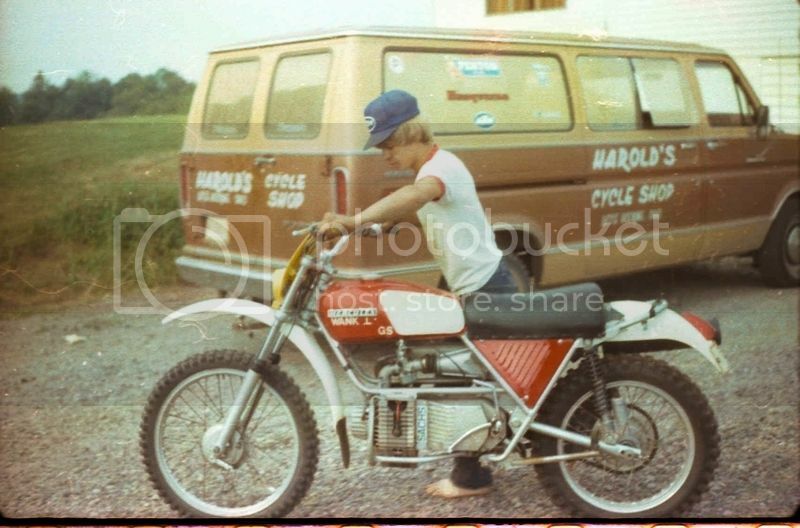 On of his trips to pick up new bikes at the distributor in Westlake, OH, his Dad saw a used Rotary powered dirt bike there. The distributor explained to him that it was a prototype that was used for testing. 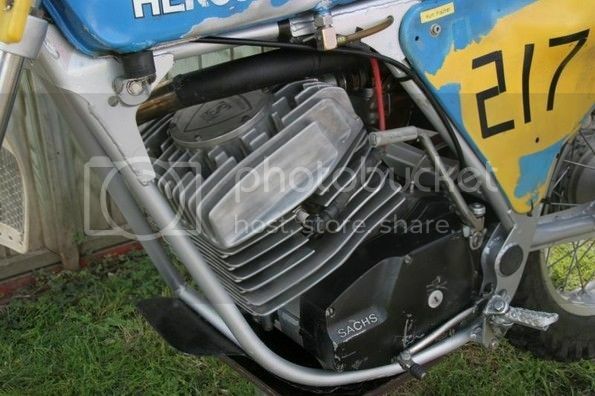 His Dad convinced the distributor to let him take the bike home to display in his dealership, but he was not to sell it. 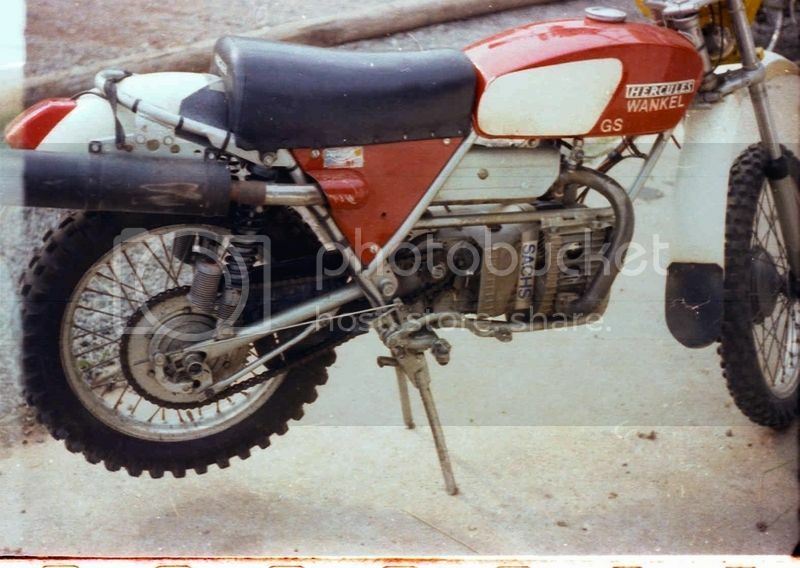 I don't remember exactly how long that they had the bike at the shop, but it was eventually returned to the distributor. 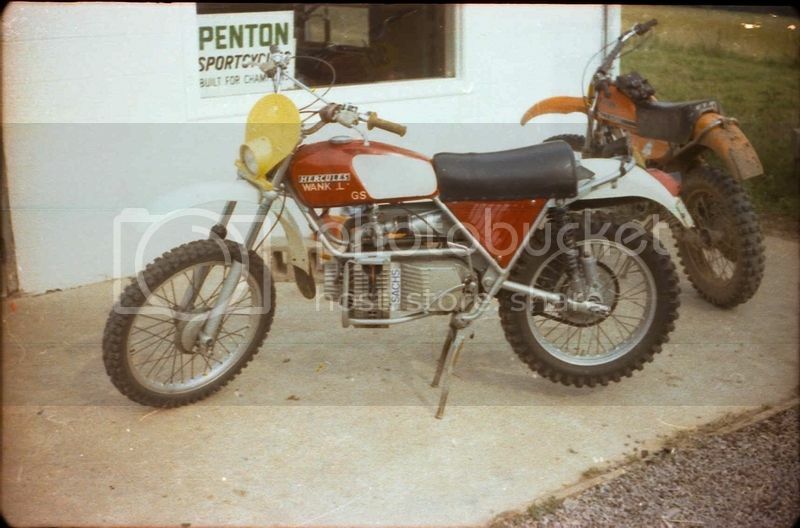 This is James with the bike in 1978. 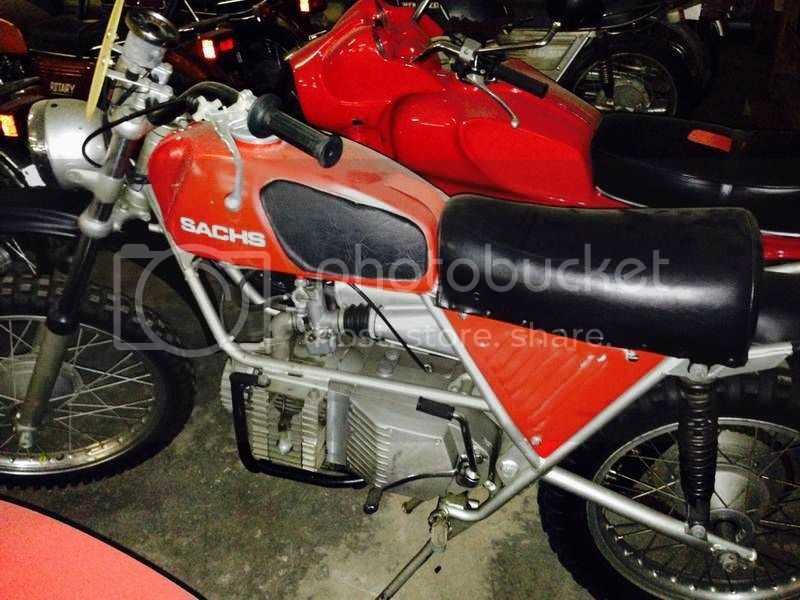 James wanted to try to build a replica of this bike, and while doing some internet searching, he came across several different prototypes that Sachs had built that were on top of a production 7 speed bottom end. Since he already had a complete '77 Hercules 350 7 speed (a bike that his Dad sold new), he decided to built a replica out of that bike. 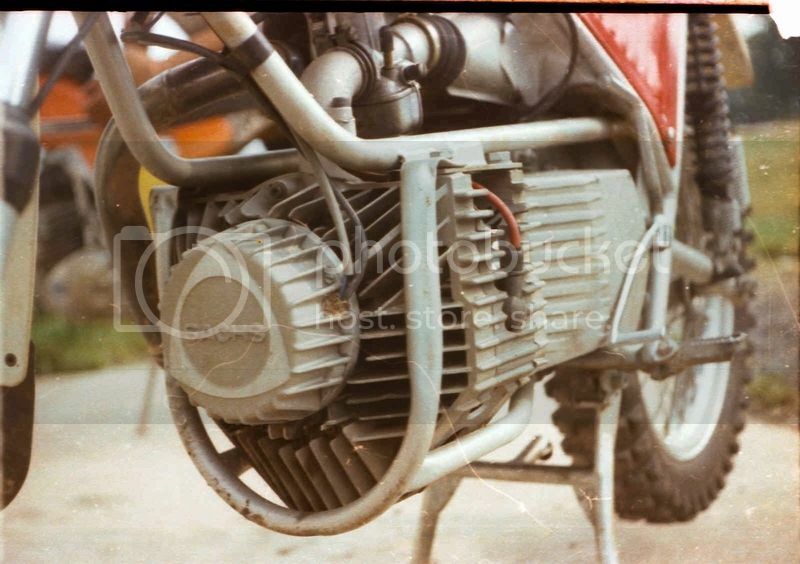 He discovered that Artic Cat had Wan kel Rotary powered snowmobiles in the mid seventies, so he located one of those motors to put on top of his 7 speed bottom end. 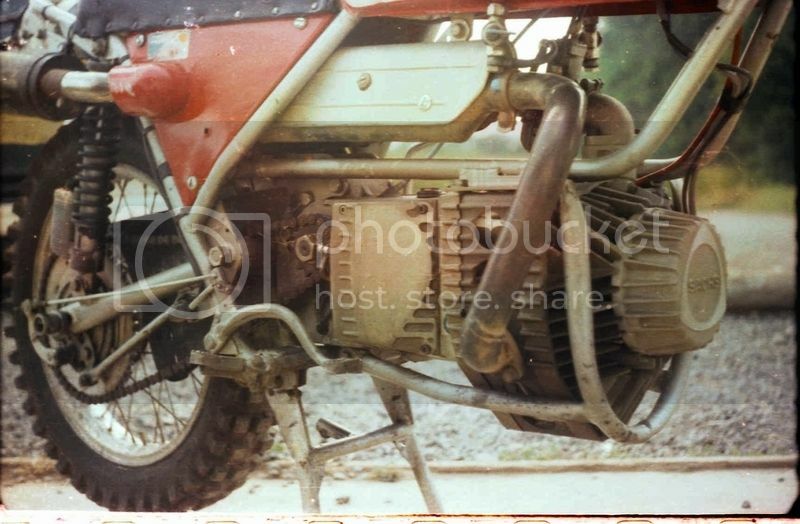 In his search for parts, he came across a company called Rotary Recycle that had NOS Wan kel parts. 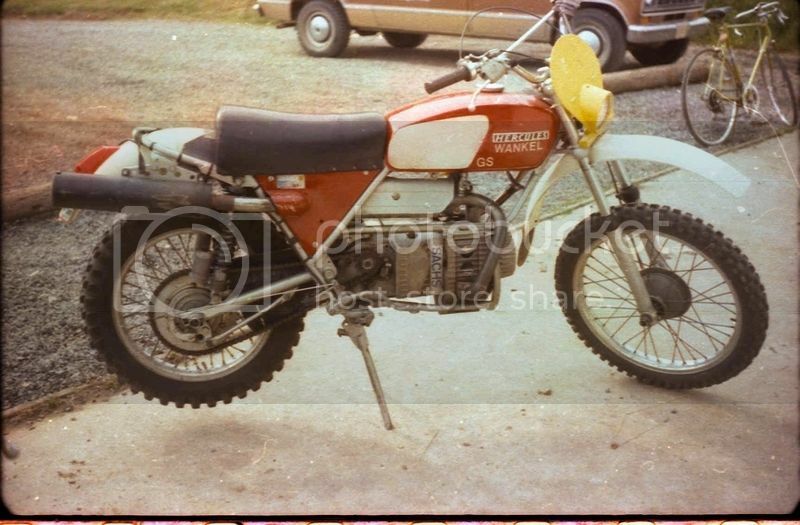 James still wanted to build a replica of the bike that his Dad had on the showroom, and Rotary Recycle had a NOS street bike frame and engine. 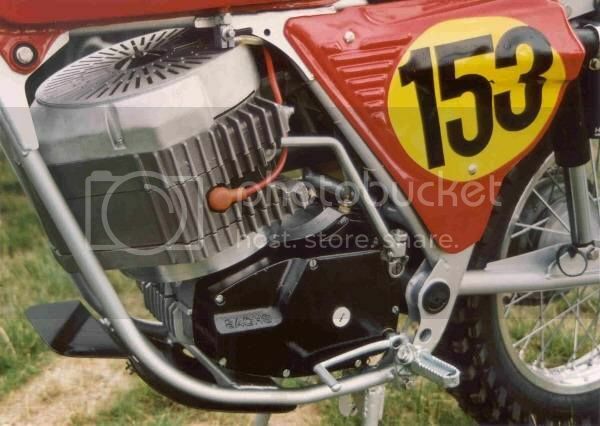 James went to Rotary Recycle in Tennessee to pick up the parts, and while he was there, the owner showed him a Rotary powered dirt bike that he had. James checked the frame number, and it was the same bike his Dad had many years ago! Of course, it was not for sale. 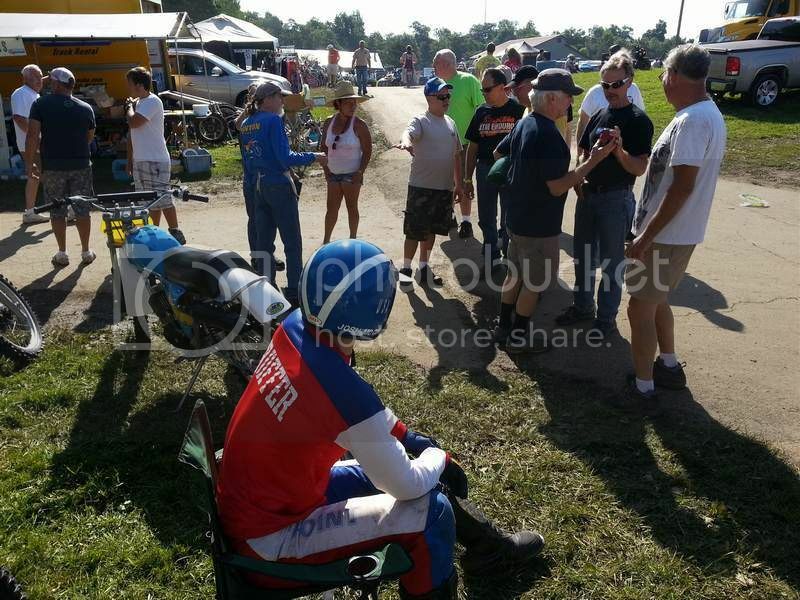 James took the Wan kel to Mid Ohio on Saturday, and POG was very kind to allow him to display his bike in Pentonville. The bike got a lot attention...especially when he started it. That unique sound definitely turns heads! 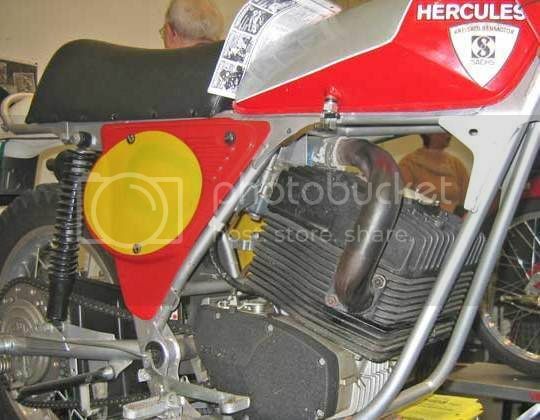 In 1978 I paid $1,800 for a 390 Husky. 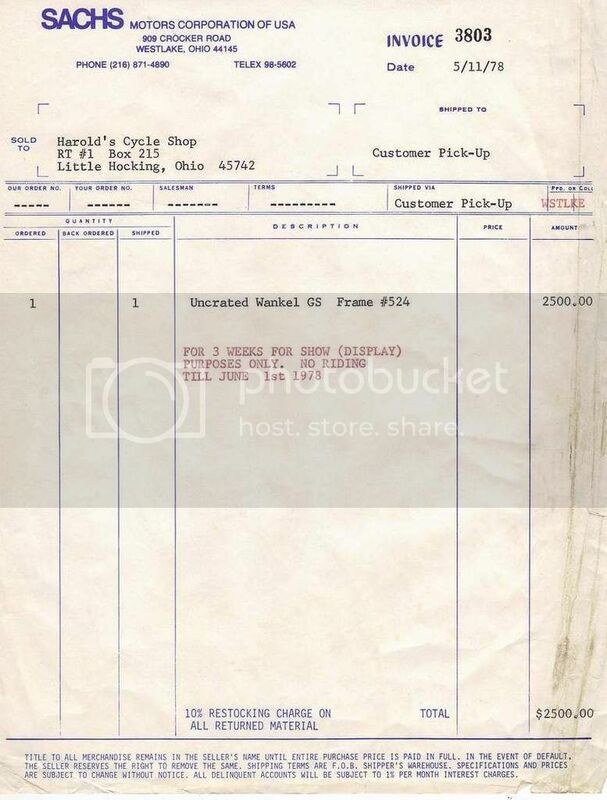 $2,500 was a huge amount of money at that time for a dirt bike!